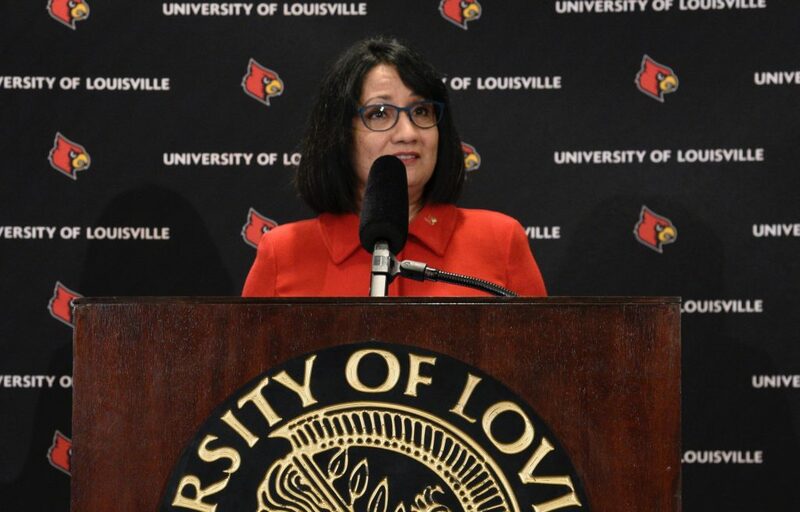 Nearly one year into her tenure at the University of Louisville, President Neeli Bendapudi said she’s in the right place. “I feel like I made the right decision coming here,” said Bendapudi. Bendapudi moved to Louisville last May. Bendapudi had a difficult time choosing a favorite spot on campus. “There’s so many beautiful spots on this campus,” she said. Bendapudi said one of the first year highlights is her first interactions with students. At the beginning of the school year, she gave out her cell phone number to students. Since then she has received two phone calls and several texts. Bendapudi was previously provost at the University of Kansas. She said taking on the role of president was humbling. “Realizing that I am the president of this great university, you know, when you’re a leader, every leader is a custodian right? So you have a great organization and your job is to make sure that you build on it, you don’t make it any worse, you just have to make it better,” she said. The first time the weight of her new responsibilities hit was when she realized she would be responsible for 22,000 students, faculty, staff and alumni. “When they do well, you feel like you’ve done well. If they don’t do well, you take it personally,” said Bendapudi. Bendapudi said her leadership team is building a great culture of open collaboration. Bendapudi said she has been blown away with the positive responses from the faculty and staff. “Just because, so many of them volunteered to be part of the strategic planning process and said ‘we will give up our time to do this.’ That tells you something, that’s unusual, you don’t see that everywhere,” she said. Bendapudi announced her strategic plan Jan. 24. It is set to launch in the Fall. She plans to split her strategic plan into two three-year plans. The first will be from 2019-2022 and the second from 2022-2025. Bendapudi asked the Learn workgroup to redefine what it means to be a better place to learn. She wants U of L to be transformative, purpose-driven and provide engaged learning. The workgroups preliminary strategies will be available soon for commentary before taking the plans to the Board of Trustees for approval. The goal is to publicize the plan in June, then launch and implement it in Fall 2019. She advises finding at least one friend in class. This will make U of L feel just a little smaller. For alumni, Bendapudi said to keep in touch, especially with faculty members that you have developed a relationship with. “That’s not just for the immediate, but for the long-term. You may say you want to go to grad school, you may say you need advice to switch jobs, ‘What do I do?’ it could be a faculty or staff member, but keeping that relationship is important,” she said.